C-level leadership. Due diligence. Acquisition oversight. Risk analysis. Technical assessment, planning & execution. HIPAA & PCI compliance. Waste reduction. Asset transfer & management. Automated systems design. Custom hardware & software development. Management & employee support. Customer & end user workload reduction. Why: We believe in protecting your investments. What: We safeguard investments with technology that underscores business logic. How: C-level leadership. Pre-acquisition diligence and post-acquisition oversight. Technical assessment, planning and execution. System integrations. Advisory services. Fourteen Six Street announces the commercial release of AffiliateCMS - The #1 content management system for franchise and affiliate programs. Business technology consulting puts the emphasis on your business. Break / fix companies are everywhere. They are a necessary part of your operation but their skill set is usually limited to the technology. Business technology consulting is different. Fourteen Six Street places the emphasis on your business and uses technology as a tool to underscore your business logic. So what does that look like? It starts with a deep understanding of your business or a specific problem your business is trying to solve. Fourteen Six Street tailors solutions based on things like company vision, budget, timelines, and personnel. Sometimes we execute the solutions ourselves and sometimes we pair you with other experts from our network of vendors. 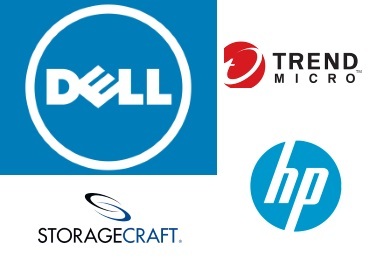 These vendors include partners like Dell, HP, Trend Micro, Symantec, Storgecraft, and more. If you would like to learn more about business technology consulting, or Fourteen Six Street services, contact us using the form below. Need advice, stuck on a problem or want to build the next Facebook? Contact us today for a free, no-obligation, technology consultation.